We provide skin cancer diagnosis and management in a timely and cost-effective manner. Situated at 121 Spencer St, Gatton Queensland, with easy parking and disabled access. We offer uncomplicated information and supply educational materials to our patients and the local community. We offer a full range of the most up-to-date treatment modalities and specialist referrals as required. If you are suspicious of something, or a mole is changing, or even if you are not worried at all. Early detection is vital and may save your life. Our doctors are highly trained and experienced in skin cancer diagnosis and management. 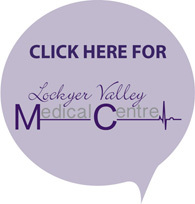 Welcome to Lockyer Valley Skin Cancer Clinic. Located in Gatton Queensland, Australia, our leading Skin Cancer Specialist and Doctor is Dr Usman Khalafzai. He is backed by Nurses and Practice Managers that ensure the clinic runs smoothly. By the age of 70, 2 out of 3 Australians will be diagnosed with skin cancer. We are committed to providing excellence in Skin Cancer diagnosis and treatment and referrals. The skin is the largest organ of the body, but with the Australian sun, and years of being exposed to harmful UV light, we are a nation of people susceptible to skin cancer. Put yourself in the hands of trained, caring experts. We provide high quality, personalised and individualised skin cancer services. We believe that early detection, prevention and management of skin cancers leads to lives being saved. At least 15 min appointment is allowed for your appointment. The doctor will take relevant medical and skin cancer history and skin type assessment to determine your risk of skin cancer followed by a comprehensive head to toe skin check. Dr Usman Khalafzai has furthered his studies and taken postgraduate training in the diagnosis and care of skin cancer. Dr Usman Khalafzai has a special interest in skin cancer detection and management. This practice protects your personal health information to ensure it is only available to authorised staff members for the intended purposes and to comply with the Privacy Act. To obtain a copy of our Privacy Statement or your own medical records, please ask our reception staff. Doctors in this practice are competent at handling common health problems. When necessary, they use opinions from specialists. You can discuss this openly with your doctor, including out of pocket expenses. Consultation is by appointment. Home visits are only for SPECIAL REASONS. Book a long appointment for more complex problems. If more than one person in your family needs to be seen by the doctor at the same time, please ensure a separate appointment is made for each family member. Please notify us if you cannot attend an appointment well in advance. Accurate Skin Cancer diagnosis, exceptional treatment, educational prevention services.